The Shredder 8’ 9” is a surfing machine! We had so much fun designing this board on the high water in Idaho during the fall & winter of 2016! 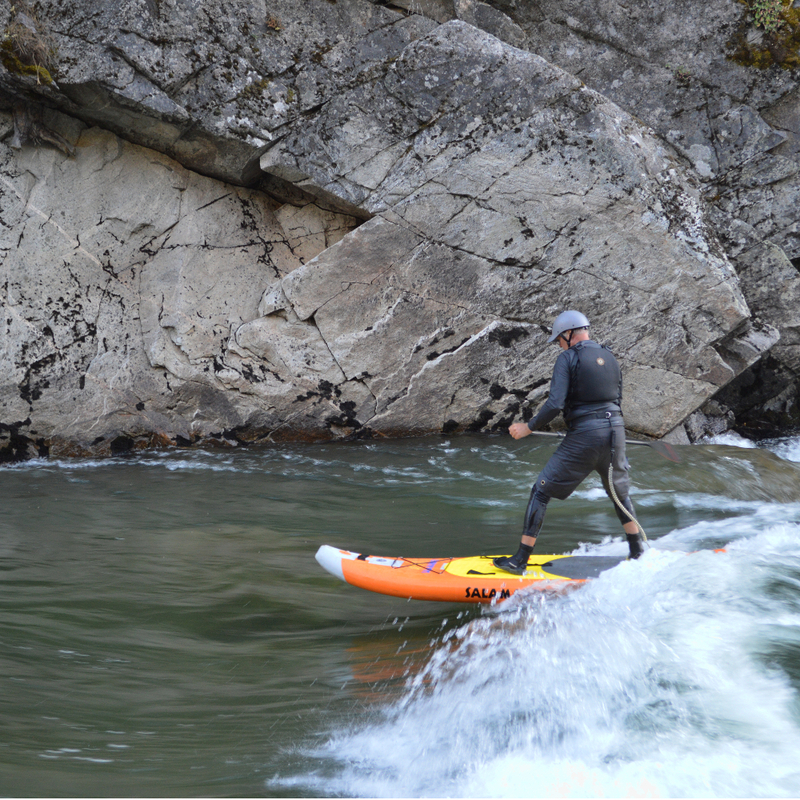 The stiffness of the board combined with the stability and short length makes it extremely maneuverable on a wave. For lighter paddlers, 150lbs and under, it’s a great down river board as well. The Shredder 9' 6" - During our time doing R&D on this board we were able to test it on high volume rivers and get in a couple multi-day trips. The 9’ 6” Shredder is stable and has a lot of rocker for gliding over waves and holes. It also preforms very well with gear for long day trips or multi-day adventures. 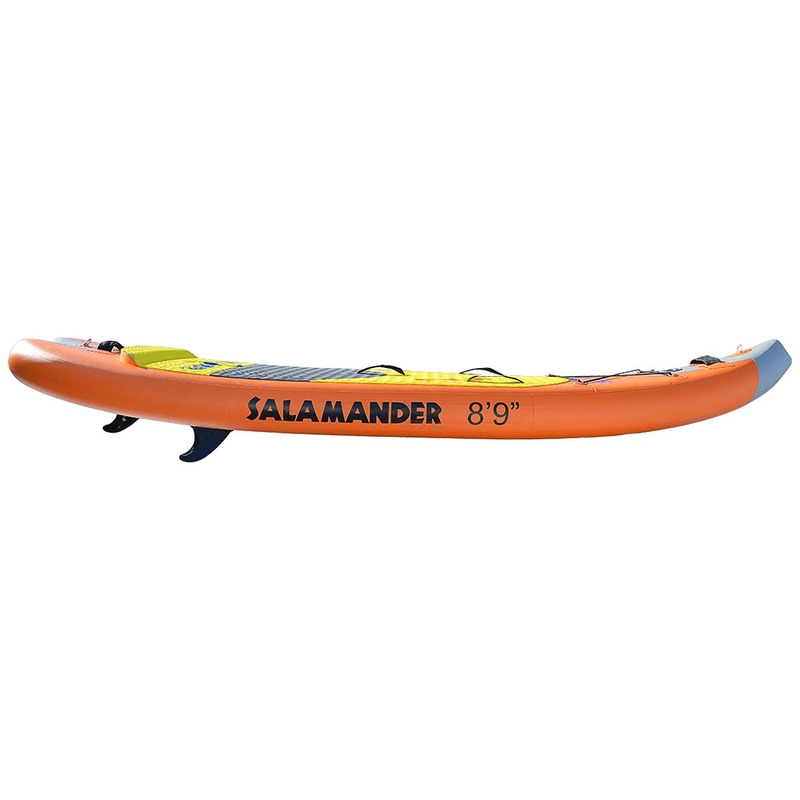 The Shredder 9’6” board accommodates paddlers over 200lbs. At 185lbs I'm on the upper limit of the 8'9" Shredder, but after getting one this summer it has been a blast playing and surfing on this board! Very responsive and easy to surf, this board came with a pump, 4" fins, a repair kit and a bag with backpack straps making it easy to travel with. I'm looking forward to getting a 9'6" Shredder and running more rivers this coming year!